American Idiot on Broadway Opens Tonight! It’s finally here, what has to be the craziest night of Green Day’s life (and I’m sure they’ve had some crazy times! 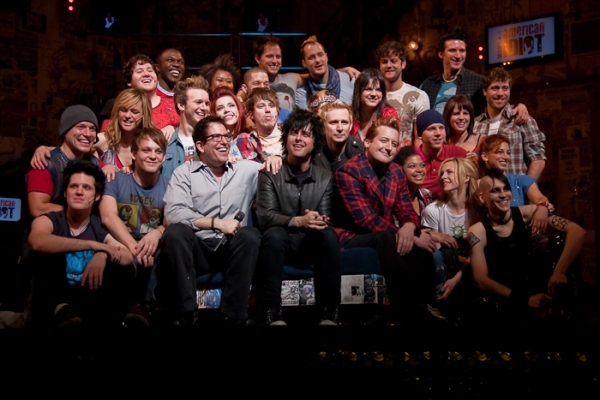 ): the opening of their musical, American Idiot on Broadway. The cast album is out today, the opening will be streamed online at the American Idiot on Broadway site, and I’ll be there! Maybe tweeting here and there here. But for real live tweeting, follow Katie McPansy, who will be tweeting from the red carpet and the after party! Katie’s Twitter is here and her Youtube channel can be found here. See you Idiots on Broadway! Break a leg! This entry was posted on Tuesday, April 20th, 2010 at 7:44 am	and tagged with American Idiot on Broadway and posted in Green Day's American Idiot (Musical). You can follow any responses to this entry through the RSS 2.0 feed. « Hero Volunteers Wanted for Partying in NYC: MKOTC, AI, GD, FBHT… FBHT?!? 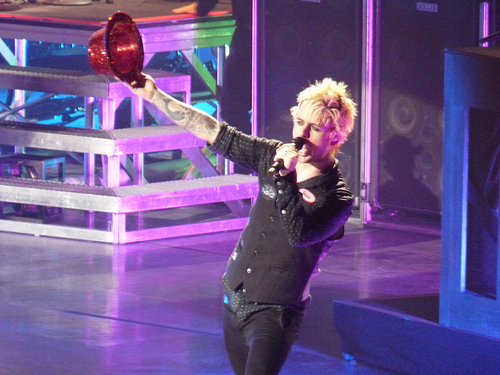 American Idiot the Broadway show looks great plus i love Green Day.